The closest I have ever come to memory loss was the few hours following the removal of my wisdom teeth. While I wish to save the actual wisdom-teeth anecdote for later, suffice it to say that I do not remember anything that happened once the anesthesia kicked in. My parents tell me that I blubbered like a buffoon, though. Which, in all honesty, I could see myself doing. 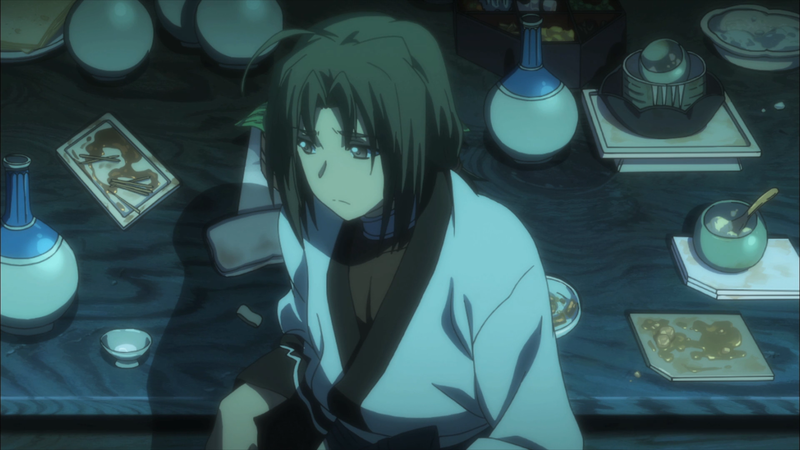 Unfortunately for Utawarerumono: Itsuwari no Kamen, it ends up as a forgetful experience, too. 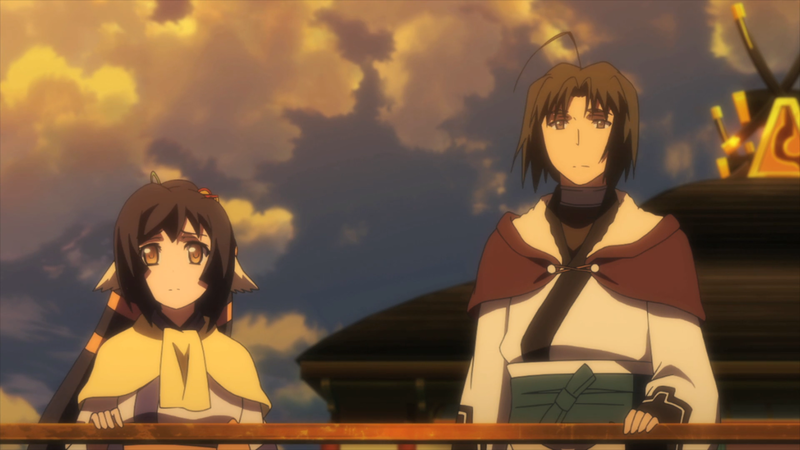 Utawarerumono starts off with mystery in mind. Kuon, a wandering woman, discovers a man seemingly lost in the woods. He has no knowledge of who he is, and he cannot seem to recall his memories. Kuon decides to name the man Haku, and thus the anime begins. The show definitely starts off on the right foot (or perhaps the right paw). Kuon and Haku form a nice duo. Their silly antics and their potential connection creates a relationship that has a lot of room for growth. The quaint, woodsy setting plays on the mystical, easing the audience into the concepts of animal people, technological deficiency, and otherworldliness. Extra characters bring both fun and purpose. A carefree yet commanding leader, an important princess, and a giant, cooing bird add variety to the show without taking away from its current feeling. Event-wise, the anime takes a combined approach. The majority of the scenes are slice-of-life-oriented, such as Kuon spying on Haku or Haku doing his best at manual labor. Simultaneously, some of the scenes are action-oriented, such as a battle against a massive centipede or a kerfuffle with some thieves. To put it differently, Utawarerumono does well in establishing its premise and direction and scope. Then the anime slows everything down. Really slows it down. For approximately nine episodes, the anime chooses to focus on just slice-of-life material. The first couple of these episodes are acceptable since they help to transition from the old setting and into the new one. But once the show continually goes with this direction, the events themselves start to feel largely inconsequential. For example, some of the group members sneak onto a ship that gets overrun with giant bugs. Anju, the princess, tries to understand what love means. Kamunagi of the Chains, two daughters of the high priestess, are given to Haku as a reward, leading to an episode with a disproportionate number of sexual acts and innuendo. Slowing down the anime so much leads to stagnation. Indirectly, it keeps the cast in single spot for a long while: the capital of Yamato. Consequently, where the first few episodes made progress in terms of world-building and providing motivation for the characters, this stretch of nine or so episodes where very little actually happens feels unfocused. Especially so when the remainder of the season – thirteen episodes – is dedicated to obscene amounts of action. While the fight at Maruruha is pertinent for the masks and Haku’s character, much of this action simply feels pointless. The attacking Usuurussha, bandits basically seeking food, lacks a place in the narrative following their retreat (and despite the big showing the anime made with the daughter of one of their generals). And the entire invasion of Tousukuru, Kuon’s home country, ends up as worthless in the long run. The majority of episode seventeen deserves a special (negative) callout. This episode is dedicated to unveiling a huge revelation: that the Emperor and Haku are the only humans on the planet. In short, the animal-esque people of the world were created by the Emperor after people destroyed themselves, and, also, the Emperor is Haku’s older brother. First, this reveal comes out of nowhere. After those snowy mountains, the stretch of slice-of-life events, and a hefty amount of battling, the anime drops this information on the audience without discretion. And second, and arguably worse, the anime does almost nothing with this information. Haku somewhat gets inspiration from the news when he destroys a provisions storehouse later on, but these relatively gargantuan details have next to no impact on the narrative. But Utawarerumono does not stop there. It also falls prey to other narrative snags. For some reason, the show chooses to kill off the Emperor off screen and without warning. One of the final plotlines, the attempted murder of Anju, does not receive a resolution. Ukon gives up his mask to demonstrate his loyalty to the princess, but it serves no purpose once out of his hands and is even given back to him some time later, making the entire exchange unnecessary. The show runs into thematic trouble as well. It tries to emphasize the necessity of war in order to fight for resources and display dominance. But the majority of the season is not dedicated to war – the first half is (to reiterate) slice-of-life whereas part of the second half is more centralized in its conflicts. In essence, the whole war angle, while appropriate for certain circumstances, does not fit within the anime’s other material. Overall, the narrative begins and means well, but, the further along it proceeds, the more issues it brings upon itself. 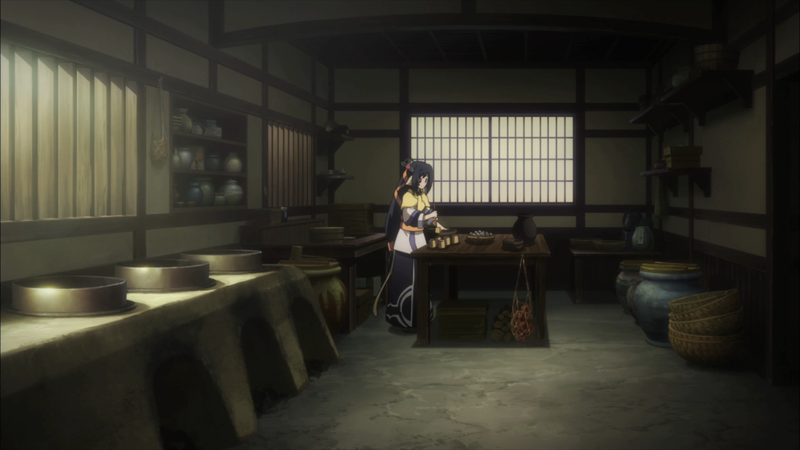 Utawarerumono’s artistic direction does well in certain areas but not-so-well in others. For example, the background art is more unfortunate than fortunate. Similar to the story, the backgrounds are supported by the more mystical environment. A mountain village and snowcapped hills purport that differentiation of the land exists (as do the visuals of the first ED). Yet, once the anime constrains its setting to just the capital of Yamato, the anime unfortunately hits a lack of creativity. This misfortune continues into the latter half of the show as well: open fields, some forests, and random towns are not exactly immersive. To be fair, the show does place care in the details. The capital is very cultural with food stalls, stone castles, and minor amenities. Lighting as well. Many moonlit nights, delicate sunsets, and daytime outings blanket the show in various forms of light. Actual animation is somewhere around average. Action sequences, while not the most choreographed, are filled with lots of sword swinging, jumping, and (sometimes) giant fireballs. Downtime is similar in that sequences can see a nice amount of movement – dancing, searching, and joking – but nothing outright dazzling. The character designs are quite nice, though. Mostly because of the extensive variety. While they all derive from (more or less) the same cultural influences, they tout different colors, different animal characteristics, and different styles. For example, Kuon’s long hair, warm colors (light purple, orange, and yellow), and plain tail paint her as a kind and mature woman. Rurutie’s black-and-white garb with pink-colored additions coincide with her princess-yet-lewd and sweet personality. And Munechika’s white-and-blue garb, curled hair, and short tail depict her as the wise commander she is known to be. Utawarerumono has a singular problem with its cast: Too many characters for its own good. Granted, having a big cast is not an inherent problem. It all comes down to their use. Their purpose. Their execution. 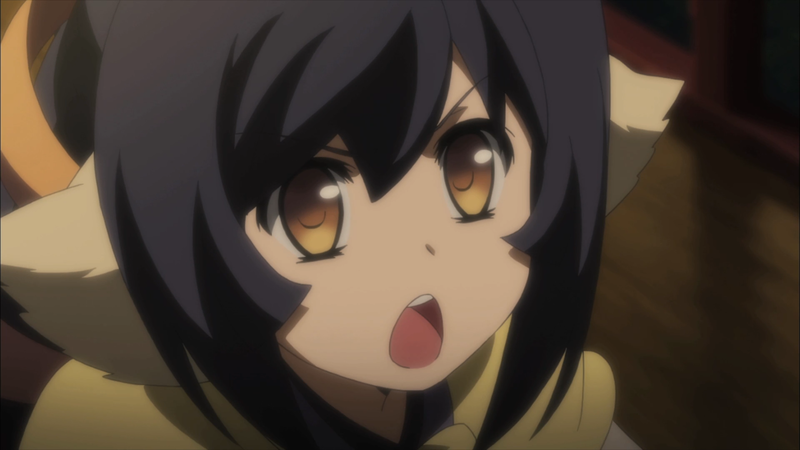 The show rarely explores anyone that is not either Haku or Kuon. They do have their particular characteristics – Rurutie loves boys-love material, Atui is very particular about men, and so on – but these traits get tiresome when they are used over and over without major deviations from their respective formulae. Arguably, they do not need to have development. They do not need any extensive change to their character. Which, to some extent, is true. They are not wholly important to the plot, and there are just way too many of them to adequately divvy up necessary attention. But the show has twenty-five episodes to work with. That’s a lot of time. Presumably enough for everyone involved. Even if these side characters are given exemption, Haku and Kuon’s development is not. Haku started off in a rather interesting spot. Without memories, he had no way of understanding who he was, where he was going, or even why he was there in the first place. But he did know what he wanted to do: nothing. He was lazy. Whenever possible, he would prefer to sit around the campfire rather than subject himself to more work. Yet he was surprisingly good at the jobs he was given. Mostly because he would seek out a way to perform the task efficiently. I.e., he would devise a way to get the job done with as little work out of him as possible. And while he was not an amazing fighter like Ukon, he was courageous and could hold his own. Plus, he learned how to read and write, treated others with respect, and did his best with the craziness that happened around him. Unfortunately, these traits are as much as his character gets. Roughly halfway through the season, Haku does have a small situation when he becomes terrified of the prospect of war. His friends cheer him up, letting him know that war and its outcome is natural. At least, natural for their world. But one miniscule development over twenty-five episodes seems dismally disproportionate. In fact, Haku is arguably a very bland character. Furthermore, this blandness makes it strange to get behind Ukon’s constant reliance on the dude. Haku is not exceedingly strong, and he is not exactly a genius. In other words, he doesn’t stand out. The idea is that Haku is simply charming. As the only human (besides the emperor; almost nobody knows that either of them are human), as this lazy yet strangely productive person, he attracts others to his circle. And, arguing in his character’s favor, that may be the point. That is, one does not have to be an “amazing” person to influence the world. Yet, even taking this mindset into consideration, the evolution of his character does not support this idea. Haku never really affects those around him, let alone the direction of the plot, going with the flow of events for nearly the entire season. And when the audience finally does see him gain a position of power, the show ends. Not that gaining power and numerous friends changes him for the better. Indeed, besides Ukon, he does not seem to strengthen his relationship with anyone – including Kuon. Kuon’s relationship with Haku is alarming for this very reason: not having a strong foundation. In the beginning, when it was just the two of them (and maybe a couple of other characters), one could easily see where their relationship stood. She teased him, shared meals with him, and traveled with him to take care of different happenings. Following their trek to the capital, however, Kuon’s relationship with Haku almost stagnates. As more characters are added, Kuon gets less and less time to spend with Haku. The story’s action-heavy direction also forces their separation. And while she does get angry with Haku after their initial time together, their moments on-screen get reduced to a pitiable amount. The result is a weak relationship between the two. Subsequently, Kuon’s later (presumed) romantic feelings for the man and distress over his death come off as empty. It’s unfortunate. 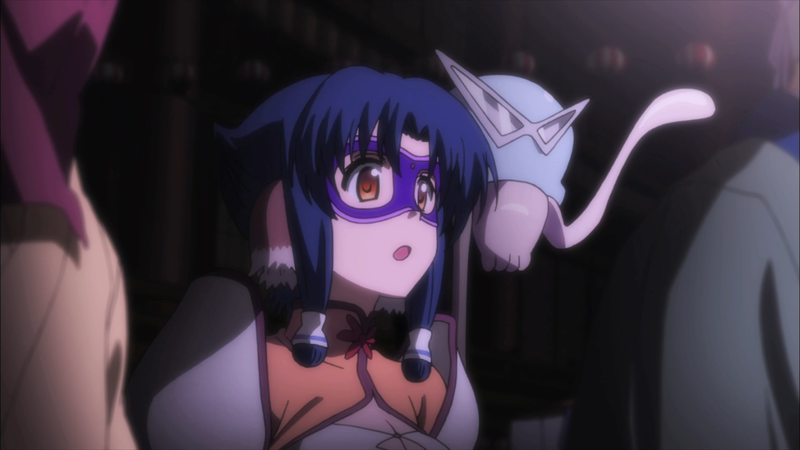 They are the main duo of Utawarerumono, but, because the anime spent almost no time on building their relationship, Kuon and Haku are not strong together. Again, for all of the cast members, if the show were shorter in length, it would be somewhat more acceptable to not have as much care given to each of them individually. But given how much time the anime had to work with, it’s almost inexcusable for the anime to have characters so weak writing-wise. The first OP incites wonder, a feeling of mysticism that fits well with the anime (at least the first quarter or so). The cultural instruments, the nice vocal work, and the build-up into the fast-paced portion come together to create a somewhat intricate track that is both catchy and fun. The second OP tries to follow in its brethren’s footsteps. Mysticism reappears, and cultural sounds – like the background chants and the wood tapping – return, too. Most of the piece contains skipping singing and unobtrusive instruments, but the final stretch twists the tone. As the vocalist picks up emotion and the instruments start to resound, the tone moves from normal to almost harrowing, mirroring the shift in tone of the anime itself. The first ED slows down the festivities (in similar fashion to the story). While not serene, the piece is peaceful, the soft piano accompanying the thoughtful singing. The second ED is similar but slightly more mystical. The track gradually builds into strong drums, passionate singing, and cultural sounds that match the sadness the show concludes with. While neither of the EDs are particularly gripping, they are at the minimum nice additions to Utawarerumono. The rest of the original soundtrack continues with the foreign feel. From the slice-of-life escapades to the countryside brawls, Asian ambiance fills the atmosphere. This music turns their hotel, the capital of Yamato, and the surrounding world into a place teeming with intrigue and cultural influence. Voice acting performances are well done as well – if only thanks to the various vocal tics that some of the different cast members use. As such, some shout-outs are deserved. Risa Taneda as Kuon and her “I think.” Chinatsu Akasaki as Anju and her “Indeed!” And Madoka Yonezawa as Kokopo and her constant cooing. To be honest, I am disappointed in this one. It felt as though it had a lot of potential. Especially in terms of the characters and their interactions together. Haku actually ended up being a rather boring person to follow. Kuon seemed to get the brunt end of the stick in terms of focus once the cast size became unwieldy. And the rest of the cast were just not interesting – mostly because the anime never cared enough about them. 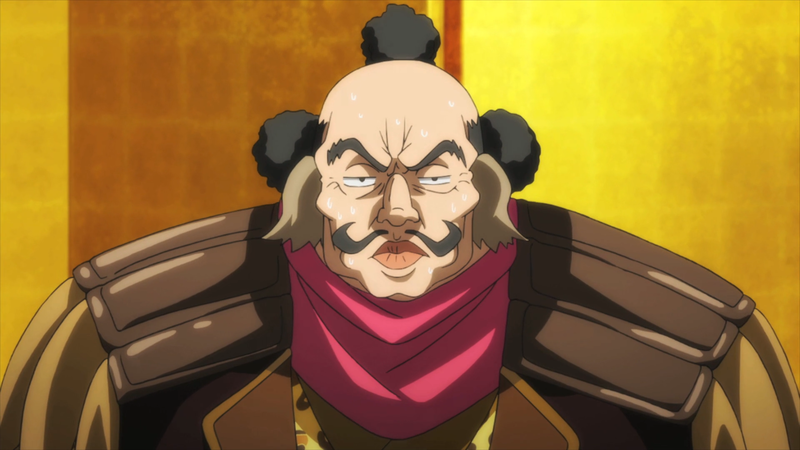 Yet easily the worst character in the entire anime was Dekoponpo. He was so aggravatingly annoying. His dumb-and-arrogant-yet-he-still-gets-away-with-it persona had me shaking my head. And then my eyebrow would raise when the anime continually relied on him. Be it for comedic relief or for some small plot point, he soured the experience completely. It’s fair to say that I would have liked this one more if I had seen the prequel first. This sentiment is apparent in the (obvious even to me) cameos. They didn’t resonate with me. Yes, they were nice for the sake of Kuon and her character, but they lacked the emotion, the nostalgia that such reappearances would garner. A lot of the action was not that gripping, too. Going from smaller, cultural conflicts – gigiri and weird slimes (that are actually the original humans) – and interpersonal, slice-of-life events to countrywide war and massive, mystical beasts was too much of a contrast. I would have preferred the show stick with its more grounded, comedic material despite its slowness. The ending also irked me. I could have maybe forgiven the show for having Haku literally let Kuon go if his maids and Ukon’s little sister did not already know the secret. But, since they did, it made not telling at least Kuon as well – given how distraught and emotional it made her – such a lame conclusion. Even so, not everything was dismal. Kuon getting playfully angry with Haku had me smiling. Rurutie’s constant fantasizing had me chuckling. Ougi’s strange devotion to his sister got laughs out of me. Anju’s childlike crush on Oshutoru had me cheering for the little girl. And Saarana and Uruuru brought a sexual edge that I welcomed. Unfortunately, these positives were unable to overcome this overabundance of negatives. Utawarerumono: Itsuwari no Kamen starts off strong but slowly falls down the mountain. While the art and the sound-work deserve some praise, many other areas do not. The narrative has a slew of issues. The characters are unexplored. And various annoyances only serve to hurt the anime. Getting amnesia would be a better alternative.